Youngstown Barrel & Drum is the premier “one-stop and shop” product and service company for all of your shipping container, spill control, secondary containment, safety and drum handling needs. 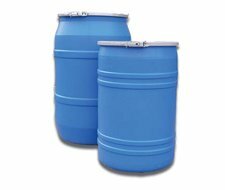 With our large inventory of drums, shipping containers, pails and environmental containment products, we are able to offer you competitive pricing and same day shipping. Youngstown Barrel & Drum Company has 52 years of experience in the commercial and industrial markets for containers of all types and sizes. We are continually expanding our range of products to be sure we fit your needs. Please call our trained sales staff at 1-800-359-DRUM, or you can view our full product offering online and order directly. Thank you for visiting and we appreciate your patronage.